Marble Products #1701 Hair Trap. White/Grey. Clean out hair and other debris from drain line. 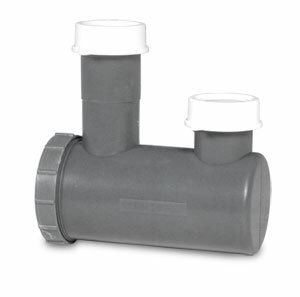 Fits standard 1-1/2" drain line. UPS approved.